The Asus recently announced the new upcoming Zenfone series mobile after the successor of Asus ZenFone Max Pro M1 this year which is launching in Indonesia on 11th December 2018 that is Asus ZenFone Max Pro M2. 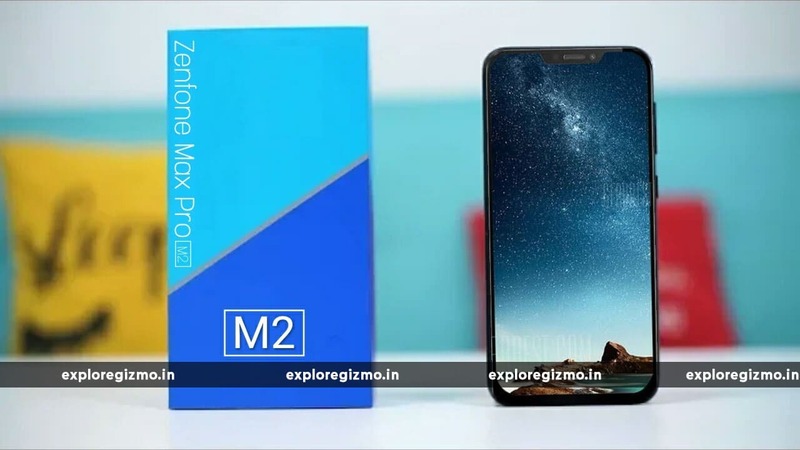 However, the Asus Zenfone Max Pro M2 has been leaked on the YouTube video but immediately taken down by the Asus, but other YouTubers has edited the original video and uploaded on their channel. There will be two variants one is Asus Zenfone Max M2, and another is Asus Zenfone Max Pro M2. The Max M2 is coming with the Snapdragon 636 while Max Pro M2 will be Snapdragon 660 and both are having with the notch display, and that should be the gaming device. The rumors said that Asus zenfone max pro m2 is coming with the triple camera, but the video shows that rear camera has a dual camera with the led flashlight. The above specification is not official so we could not confirm it right now but according to that original video, this time we should get the gorilla glass 6 and Snapdragon 660 processor which is confirmed. The price will get around between Rs14,999 to Rs16,999 which is exclusively available on Flipkart flash sale. All we have to wait till 11th Dec for the official launch event of Asus zenfone max pro m2 and then we will get the correct information and images of the device.